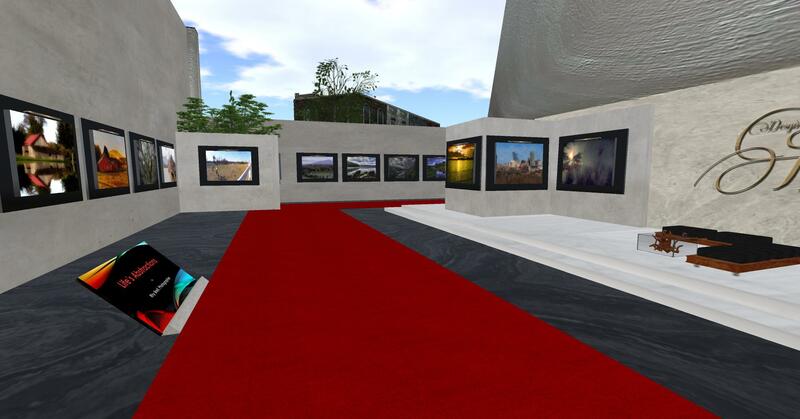 Like many people, Dori Helstein was drawn to Second Life because of the myriad of artists and creators in-world. “It’s what keeps me here,” she says. Dori’s love of artistic expression in SL is evident within moments of meeting her. Dori’s latest find is RL photographer Rhy Breil. 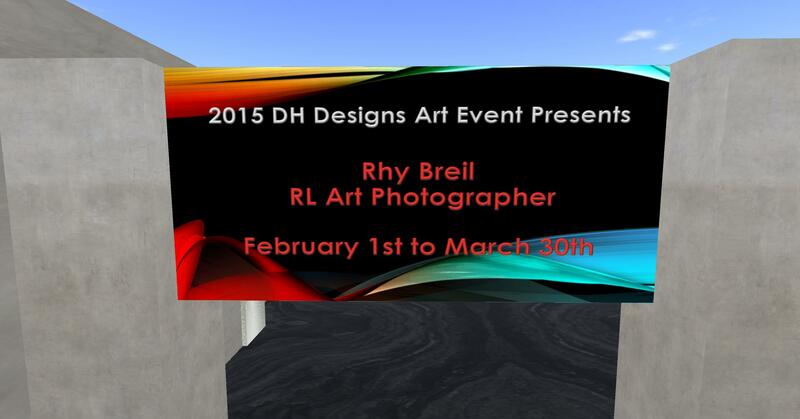 Rhy is currently exhibiting his photography at her gallery, and will be there February 1st through March 30th. 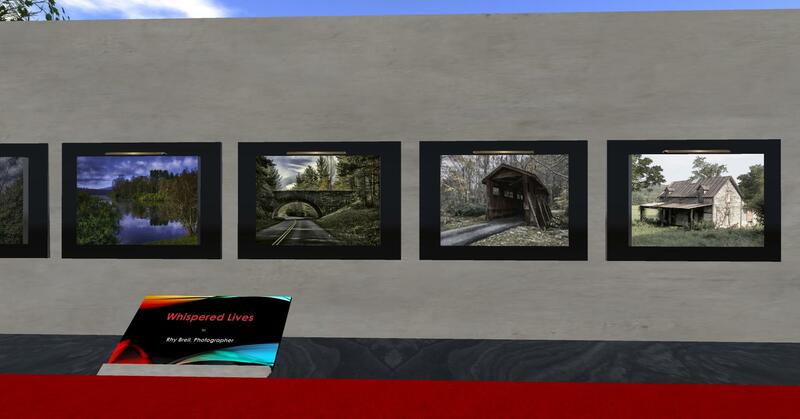 All are invited to his Gallery Opening Sunday, Feb. 1st, from 6pm to 8pm SLT t browse Rhy’s RL photography, and purchase any that strikes your fancy. All photos come framed and are resizeable. 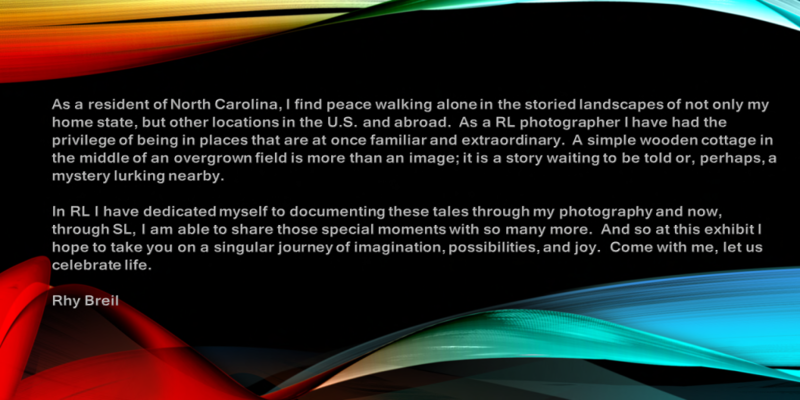 Rhy is from North Carolina and has been doing photographs for a number of years. His work is varied and includes urban scenes and landscapes to suit most any taste. 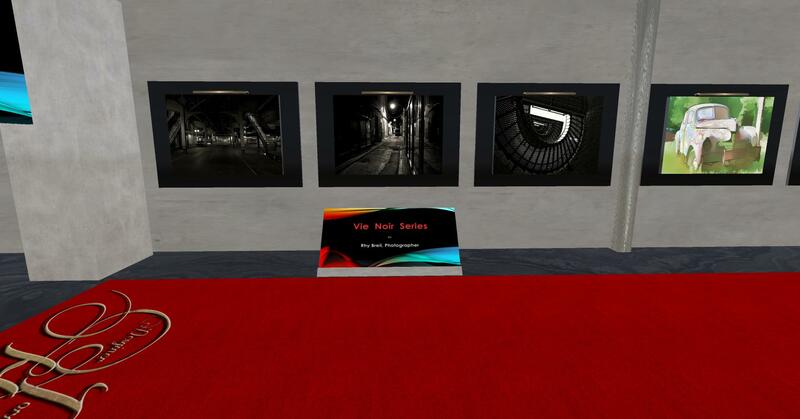 I was invited by Dori to preview the exhibit, and was very impressed with the beautiful RL photography that he has created and brought into SL, and which would look wonderful any SL home or business. His photographs have bucolic landscapes, edgier abstracts, sepia-toned photos of old vehicles, and Noir street scenes. Dori also tells me that Rhy has some amazing photos of North Carolina’s coastline, which she hopes to have him exhibit, also. Rhy’s collection has four series, or areas so you will see the signs marking each one. If you can’t make the gallery opening (I hear there is some football game tomorrow… hehe), please plan a visit to the gallery and wander, absorbing the beauty of these photographs and even purchasing one or two if you are so inclined. They are well worth the price. Here are some photographs I took of the gallery. Enjoy, and hope to see you there! 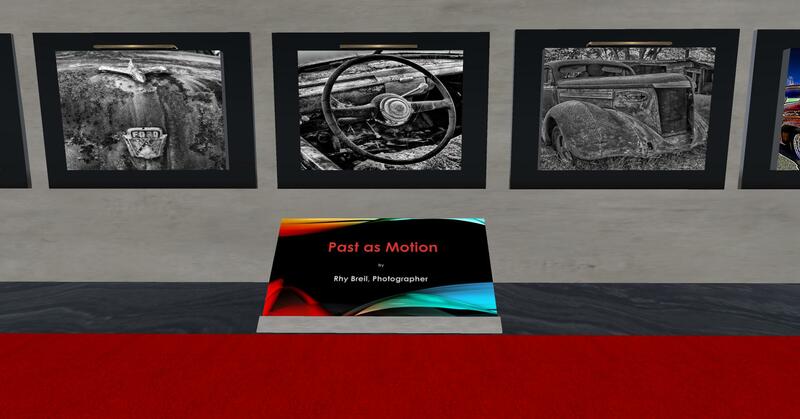 This entry was posted in EVENTS and tagged artists in SL, Dori Helstein Designs, photography, Rhy Breil, Second Life. Bookmark the permalink.